Your business’s website will be many people’s first impression of your company, products and services. As a result, your site represents a critical component of your branding strategy: It communicates who you are, what you offer and what you promise (your brand) through its content, organization and appearance (the look and feel). Analyze: Before you decide what to say and how to say it online, it’s pivotal to analyze your audience, your competitors, your industry and yourself. Audience Analysis: Online success begins with a detailed audience profile. Who will your visitors be? What type of experience do they expect? How internet savvy are they? Do they want or require education on your products? What type of appeal do they best respond to: emotional, intellectual or a combination? Competitive Analysis: You want to beat your competition without imitating them. We find out what your competitors’ URLs are, and choose one that won’t be confused with theirs. What do your competitors’ sites look like? Since color plays such a large role in memory filing and retrieval, we avoid the same predominant colors used by your biggest competitor. Why should customers buy from you? Industry Analysis: What are the predominant trends in your industry today? We carefully examine your industry’s history, current state and future. Self Analysis: What’s your corporate personality? Are you formal? Fun? Technical? How can you translate your brand visually and “verbally” to your website? 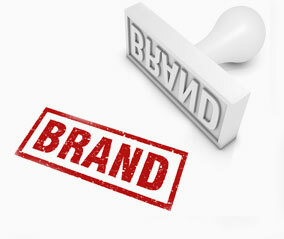 Design and copywriting work hand-in-glove to communicate your brand.